From the legend of Atlantis to the recent ABC television series called Lost, disappearing islands have always fascinated people. Modern history tells the story of another disappearing island, but unlike other stories, there is little mystery about why it happened. Our picture of the week (the second image displayed below) comes from Volume 5 of The American Colony and Maston Collection which focuses on Egypt and Sinai. To show the development of the site over the last century, I have also included a drawing from Picturesque Palestine, Sinai and Egypt and a photograph from the revised Pictorial Library of Bible Lands in this week's post. 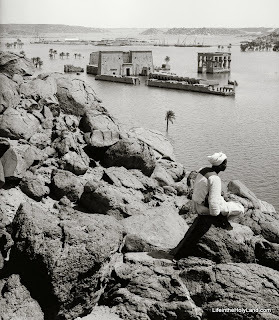 From the Roman Period until the late 19th century, the island sanctuary of Philae looked similar to the image below. A temple to Isis was built on the site in the Roman Period and later was converted to a Christian worship site. In the 1960s and early 1970s, the High Dam was built which raised the waterline even further. 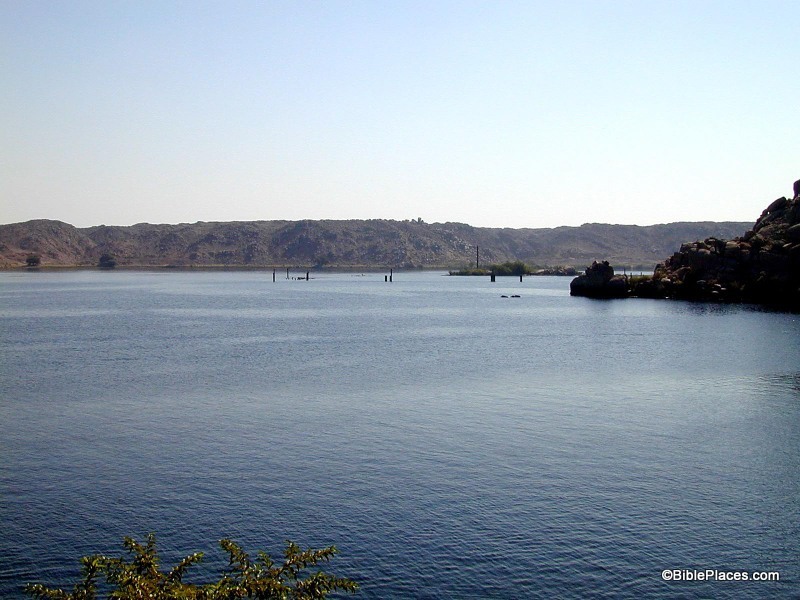 So if you visit the area today, there is nothing left of the island of Philae. Fortunately, the ruins on the island were dismantled and moved to the nearby island of Agilika, so you can still see the ruins of Philae ... you just can't see them in their original spot. The photograph of the partially submerged ruins of Philae and over 450 others images of Egypt and Sinai are available in Volume 5 of The American Colony and Eric Matson Collection and can be purchased here for $15 (with free shipping). The drawing of the island before the dams were built is from Volume 4 of Picturesque Palestine, Sinai and Egypt which can be purchased for $20 here (with free shipping). 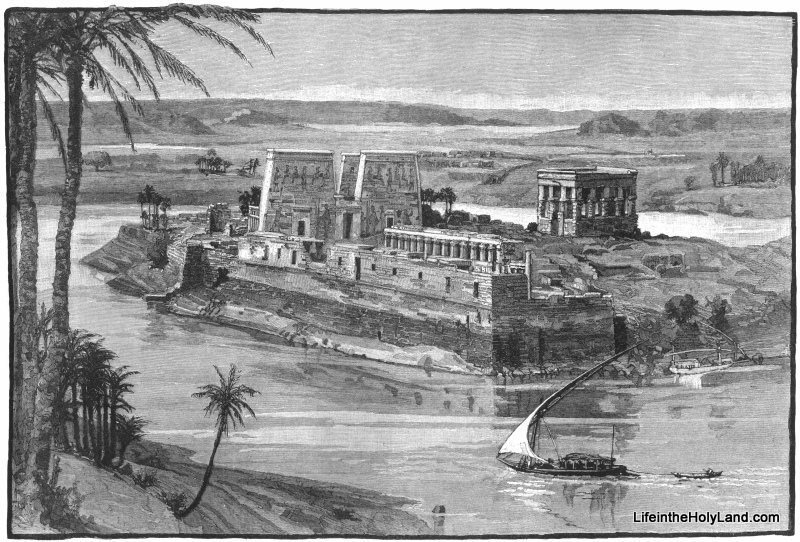 The photo of Philae today is from Volume 7 of the Pictorial Library of Bible Lands, Revised and Expanded Edition which can be purchased here for $34 (with free shipping). 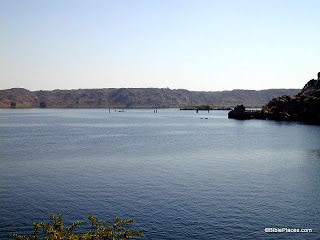 Additional images and information on Philae can be found here on LifeintheHolyLand.com and here on BiblePlaces.com.